1. Shake all the ingredients with ice in a shaker. 1. Pour all the ingredients into a shaker with ice cubes. 1. Pour the vodka and peach schnapps into a glass filled with ice cubes. 2. Top with orange juice. 1. Muddle the pineapple pieces and Cointreau in the bottom of a mixing glass. 2. Add the vodka and pineapple juice. 4. Strain into a chilled glass. 1. Pour the vodka into an ice filled glass. 2. Top with equal amounts of cranberry and pineapple juice. 1. Pour the vodka, Cointreau and sloe gin into a glass filled with ice. 1. Pour the vodka and melon liqueur into a glass filled with ice. 2. Fill with pineapple juice. 1. 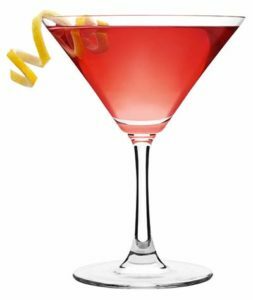 Pour the vodka and cranberry juice into a glass. 3. Top off with orange juice. 1. Place the lime wedge into a cocktail shaker with ice cubes. 2. Add the other ingredients. 1. Pour the vodka into a ice filled glass. 1. Pour the Southern Comfort and lime juice into a glass filled with ice. 2. Fill with cranberry juice.